The slim neck projects from a cape of long, glossy, blue and white hackles. 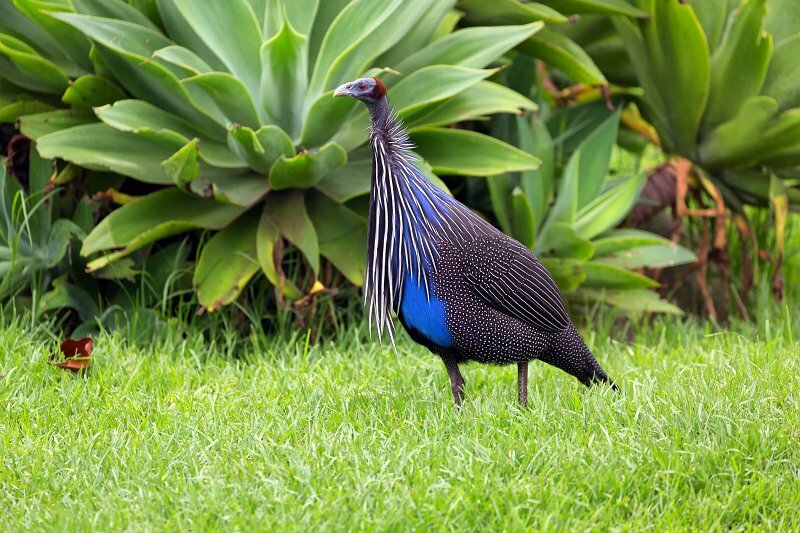 The breast is cobalt blue, and the rest of the body plumage is black, finely spangled with white. The wings are short and rounded, and the tail is longer than others in the family Numididae. The sexes are similar, although the female is usually slightly smaller than the male and with smaller tarsal spurs. Young birds are mainly grey-brown, with a duller blue breast and short hackles.